Engagement and Burnout: Being Too Engaged Can Kill You! Every company wants its employees to be more engaged at work. Higher engagement comes with higher productivity, increased happiness and retention. HR people work hard to increase employee engagement, and it is a worthy objective to pursue. But there is such a thing as being too engaged at work. When the work culture is too intense and does not allow for a healthy work-life balance, as is the case in the US, Japan, or in much of the startup world, engagement comes with risks and costs. Highly engaged workers are more at risk of burnout, which will make them more likely to leave their company. A recent Yale study found that among highly engaged employees, one in five were seriously at risk of burnout. The “engaged-exhausted” suffer from high stress and are at higher risk of heart failure. Though companies should not stop aiming for higher engagement, they should take good care of their most engaged employees and prevent them from burning out. There are more and more effective AI tools to analyse employee sentiment and monitor behaviour. However, these tools alone cannot compensate for a culture that turns engagement into burnout. And it turns out that some work cultures are much more likely to generate engagement … and burnout. To people who think about management, the Japanese work culture is interesting on so many levels. From the 1960s onwards, Japanese corporations have provided new management ideas for large corporations still stuck with Fordist mass-economy management methods, and created new models to generate strong engagement. Japan’s most eminent pioneer of industrial methods was Taiichi Ohno, an industrial engineer and businessman who is now regarded as the father of the Toyota Production System. Ohno devised the just-in-time Kanban system which is credited for saving Toyota from bankruptcy in the mid-twentieth century and turning it into the third largest automobile maker in the world. Ohno’s system was designed to make workers “feel good” by giving them much more autonomy… and making them more loyal to their company. Autonomy went hand in hand with loyalty. 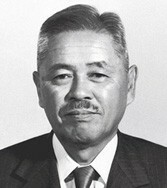 The same is true about other Japanese managerial innovations, like Amoeba, a unique management method created by Kazuo Inamori, that begins by dividing an organisation into small production units (amoebas). Autonomy at work worked wonders in Japan. It gave workers tremendous leeway to innovate and generate productivity gains. But it probably worked particularly well because the Japanese culture provided workers with a strong sense of collective mission. This sense of mission was also the product of Japan’s history. In the aftermath of World War Two, Prime Minister Shigeru Yoshida made rebuilding the country’s economy everybody’s top priority. All major corporations began offering their employees lifelong job security, demanding loyalty in return. The mission of the worker was a citizen’s mission: to help the country recover its lost pride. The bargain between corporations and employees (autonomy in exchange for engagement) eventually turned Japan into the third largest economy in the world by nominal GDP. However, because they identified so much with their companies and the higher national purpose, too many Japanese workers began committing suicide and suffering heart attacks due to excessive stress and lack of sleep. A recent report shows that 20% of people in a survey of 10,000 Japanese workers said they still worked more than 80 hours of overtime per month. Japan’s work culture is so fierce and fanatical that Japanese people thirty years ago invented a special phrase to refer to “death by overwork”. “Karoshi” involves employees committing suicide or suffering from heart failure as a result of excessively long work hours. Like all forms of burnout, including those that don’t lead to death, karoshi is the daemon sister of high engagement at work. Because there are two few of them in Japan, young workers suffer from increasing pressure. The health of the nation and its many elderly rests on their shoulders! Does engagement always come with the risk of burnout? HR people still want their employees to be more highly engaged. The more engaged the better, they think. They are legitimately concerned by Gallup’s statistic that 7 out of 10 US employees report feeling unengaged. Finding ways to increase employee engagement has been a key question for companies because higher engagement leads to increased productivity, quality of work, and employee retention. There’s no denying the many benefits of having engaged employees. There’s no denying the benefits of engagement for individual workers. But some of the work cultures that tend to make people more engaged also make them work too much and generate excessive stress. Like the Japanese, US workers tend to work much more than their European counterparts, and take fewer holidays than OECD average: “the average American worker takes less vacation time than a medieval peasant”! Today, the US is the only advanced country with no national vacation policy whatsoever. And workers tend to work longer hours too: 1 in 6 workers work more than 49 hours a week on average. Interestingly Silicon Valley’s work culture, one that is imitated and copied across the globe, merged elements of the Japanese and the US work cultures. It prizes autonomy and engagement above all else. Workers are supposed to bring “all of who they are” to work and find a sense of purpose that will nourish them more than any holiday or free time ever would. That’s why they don’t take holidays, even when they theoretically have “unlimited vacations”. In Silicon Valley high engagement is a must, but it also comes with frequent burnout and high turnover. “When you work for a Silicon Valley company, you hear the phrase “mission” a lot. The mission (singular) is what must drive you. At any given company everyone assumes everyone else knows what the mission (singular) is that drives them… and nobody would dare ask what it really is (imagine asking “oh, by the way, what is the mission?”. Impossible.) (…) In some cases it means “saving the world” (but from what?) and in other cases it means “changing the world” (but into what?). 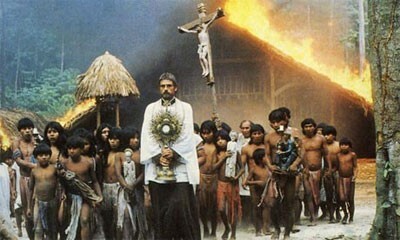 In fact, the word mission (…) reminds of Church or Army”. (See this article I wrote a few years ago). There is definitely such a thing as too much engagement. And companies should pay close attention to the risks of burnout. As revealed by a Yale study reported in a recent Harvard Business Review article, 1 in 5 highly engaged employees is at risk of burnout due to extreme stress. They have both high engagement and high burnout: they are referred to as the “engaged-exhausted”. Passionate, but stressed and frustrated too, these workers report the highest turnover intentions. It is not for lack of engagement that these employees plan to leave their company, but because of too much engagement. Society is now aware of the potential dangers associated to strong engagement. Stanford University’s Jeffrey Pfeffer just wrote a book on the workplace as a cause of death, while Arianna Huffington has been comparing lack of sleep to the worst forms of addiction: why does our culture praise exhaustion but condemn smoking when both are equally deadly? The Japanese conglomerate Hitachi developed an AI tool to analyse employee sentiment and detect who’s most at risk of burnout. Hitachi’s AI badges “boost worker performance with happiness advice”. The company monitors employees’ conscious and unconscious body movements, and their working activities through a sensor. The data collected are analysed to determine what the level of happiness is across the company’s teams. Hitachi also developed a smartphone application to provide guidance to employees. It now intends to provide services using the AI system to other companies. AI tools to analyse employee sentiment are increasingly numerous and could be transformative. However, their use should go hand in hand with increased transparency and data privacy concerns. As an employee, can you really be happy in an Orwellian world where all your movements, emails and conversations are recorded and analysed without your consent? Above all, AI-powered tools won’t change a toxic work culture. A healthy work environment and advantageous work-life balance policies will have the best results. Employees can remain beneficially engaged in the long run, only if they are able to “draw a line” between what’s work and what’s not. That’s also the primary challenge that independent workers face, who are both more engaged at work and more at risk of burnout. Can’t a Company Be like a Family? Can AI Put the ‘Human’ Back Into Human Resources? What if Women Learned to Ask? Should we abandon the idea of designing better offices?